These days, time seems to pass by really fast, too fast for some of us. We all try to do what we can to make sure we’re financially prepared for the holiday season. But despite our best efforts, we come to find the end of the year is already upon us and have little in the bank to show for it. Did you have time to financially prepare this year, or did cash emergencies and unexpected bills ruin your savings plan? Feeling Under-Prepared this Christmas? Installment Loans Could Help! If a near-empty wallet is slowing you down and your borrowing options are limited due to circumstances beyond your control, there are viable alternatives to bank loans and credit cards, including installment loans. With the holidays on the horizon, financial need is greater than ever and an infusion of quick cash could help make your holiday more festive and whole lot less stressful. Bills, we all have them, and while some bills are more of a hassle to deal with than others, they all need to be paid, whether it’s the holidays or not. If bills are sucking up all your money, leaving you with no wiggle room for the holidays, an installment loan could offer some fast relief. Installment loans are easy to qualify for and offer the flexibility of monthly payments and competitive rates. They also deliver the cash you need quickly, so you don’t have to wait until your next payday to make the most of the holiday season today. We all could use a little extra room for more, especially around the holidays. They don’t call it the “silly season” for nothing, because as we all know, life around the holidays can get a little crazy. After all, this time of year is when we cut loose and enjoy time with our loved ones. There are presents to be purchased and out-of-town relatives to entertain. It can all get pretty overwhelming if you’re not financially prepared for it. If your money situation isn’t on the up and up, an installment loan could provide you with the spending power you need to keep things merry and bright this holiday season. Maybe you had just enough money in the bank to cover all your holiday expenses. You got the bills paid on time, did all your shopping and even covered those extras that make the Christmas season so special. But what about your holiday cheer? Did the season leave you with empty pockets for your personal needs? Unfortunately, this is the situation for many of us this time of year. We worry so much about everyone else, we leave ourselves a little short. Luckily, there’s a way for you to give yourself the gift of financial relief with California installment loans. If the holidays have left you high and dry, an installment loan could help fund the ultimate holiday gift to yourself – financial peace of mind. No matter what’s stopping you from celebrating the holidays, don’t let financial constraints rob you of your joy this holiday season. Instead, reach out for an installment loan and get the extra cash you need to keep your holidays merry and bright. Related: Don't stress your spending this holiday season. 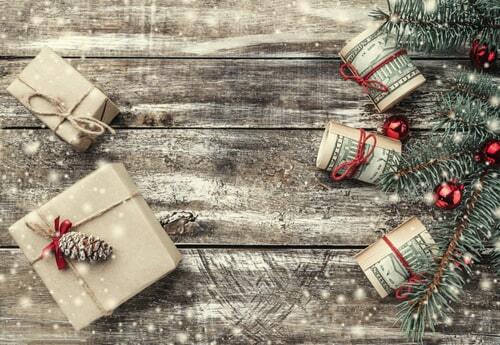 Check out these 4 joyous tips to assemble a Christmas budget!